I don't usually participate in a lot of online contests, but I thought this was one was too good not to share. 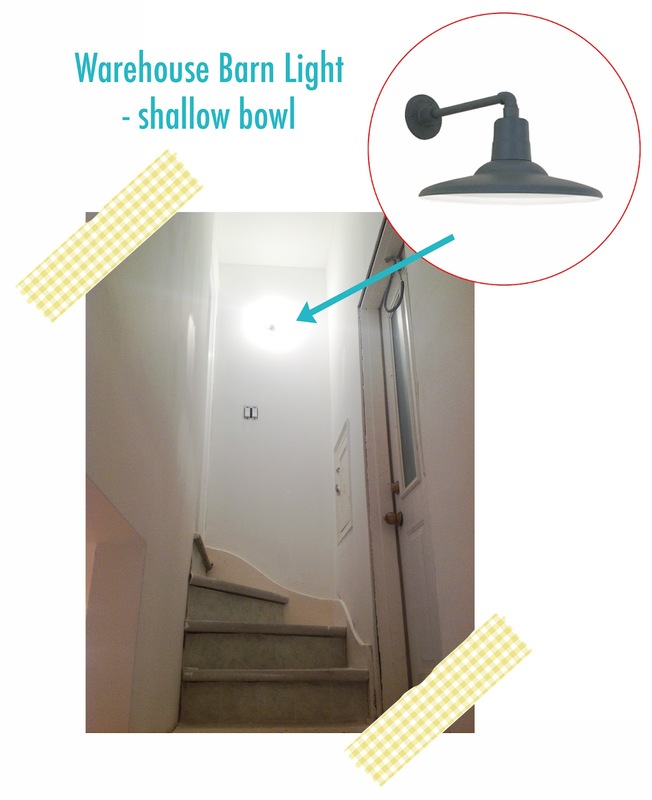 Barn Light Electric, one of my favourite online lighting stores, is having a giveaway - and the winner gets a $1000 gift certificate to spend in their store! Do you know how much vintagey lighting goodness you can purchase with that?? Plus, they're giving a second prize of $500 and third prize of $250. Awesome! We have a light at the top of the stairs to the basement. 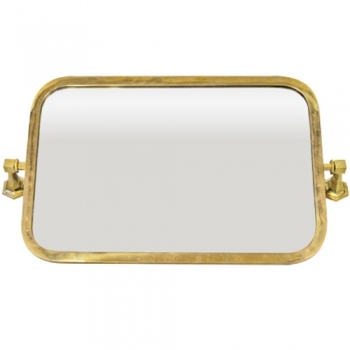 Since it will be the first thing you see, it really sets the tone for the rest of the space. I thought the Warehouse Barn Light would be great for this space. It has a great profile from the side, plus the shallow bowl won't intrude and knock you on the head as you walk down the stairs. You know that traditional schoolhouse lights were one of the contenders for over the harvest table in the craft area. 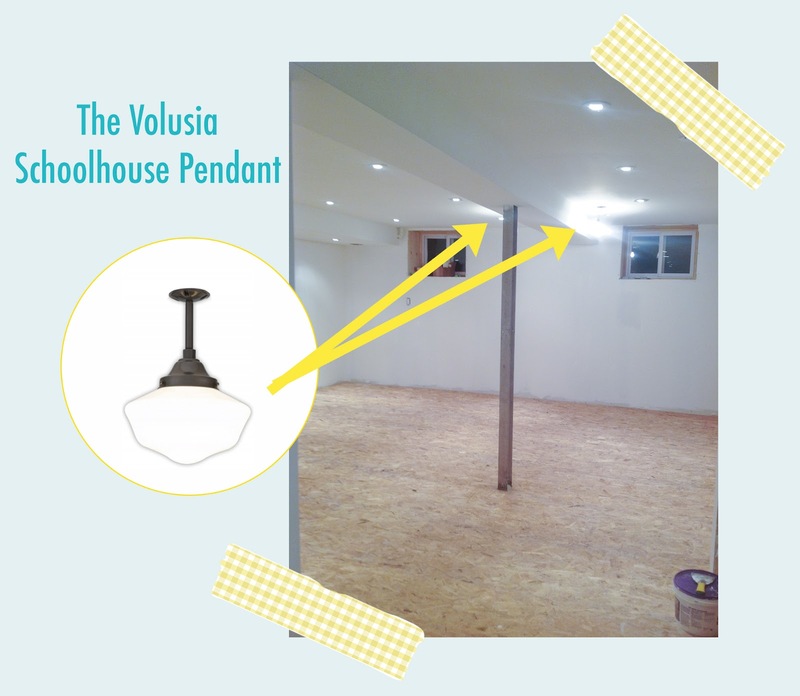 The Volusia Schoolhouse Pendant would work well here... our ceilings are just a tad below 7' so the shorter arm on these are suited in scale for the space. I also want this area to be very bright for crafting and sewing etc. and I think the milky glass of these pendants will cast overall good light. The last light we'll need is over Chloe's playhouse. 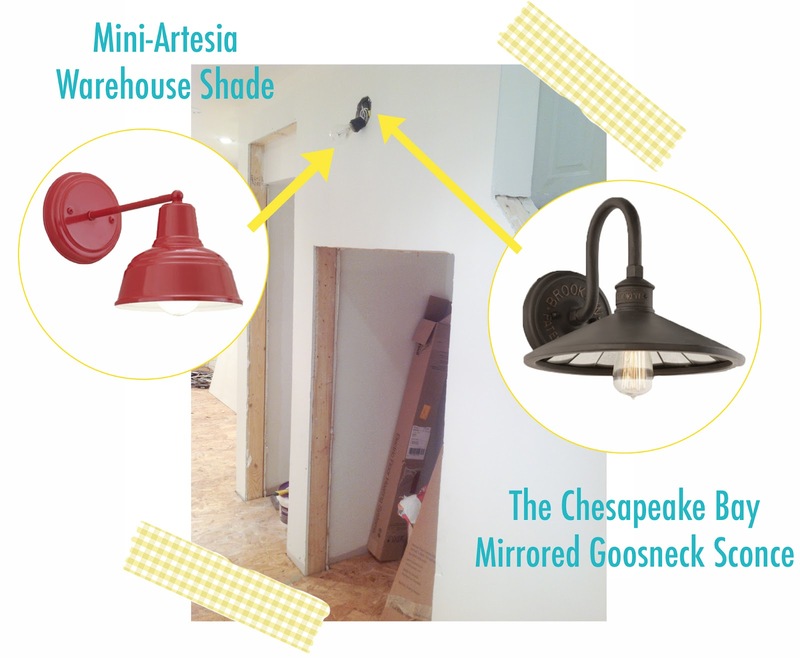 I'm undecided here - I could go with a very fun but simple light like the Mini-Artesia Warehouse Shade, or up the ante with the very stylish Chesapeake Bay Mirrored Gooseneck Sconce. This one really works with the French Cafe look I was envisioning for the playhouse. Its got a really cool Edison lightbulb too. I've been wanting to incorporate one of those in my house somewhere! Once your personal article is up, you must email your blog link to: marketing@barnlightelectric.com to be qualified to win. The contest ends Monday, July 2nd, 2012 and is open internationally though additional shipping charges may apply. Don’t have a blog? Find out how you can enter by reading the Official Rules. Good luck!